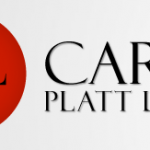 I’m very proud to announce the launch of Carol Platt Liebau’s new website: http://www.carolliebau.com. 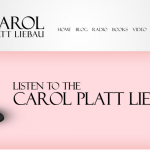 I met Carol through Hugh Hewitt and have had the wonderful pleasure of working with her to launch this new site to support her in her public life; in blogging, in book writing, and in radio hosting. Fusion Web branded, designed, and worked with Carol on content for this site. We’ve also integrated her site with Facebook, Twitter, and Pinterest. 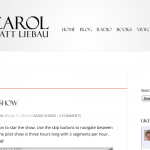 Carol is a popular blogger at Townhall.com so we’re also utilizing a WordPress syndication plug-in to import all of her blog posts onto her personal website as well. Feedback is always welcome!